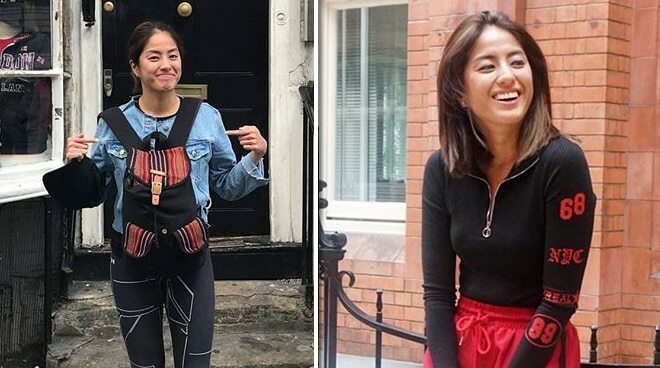 After getting her bag and passport stolen during her trip to the United Kingdom this month, TV reporter Gretchen Ho couldn’t help but share tips with her Instagram followers so that they can avoid the same experience while traveling abroad especially in popular tourist spots in Europe. The Umagang Kay Ganda host admitted in her post that she matured a lot from her trip which taught her many new lessons about traveling. "So many lessons learned from this trip and I just wanted to share with everyone so you don't make the same mistakes. "First up.. Don't wear a backpack because you are bound to put it down sometime. Better to bring a small sling bag you can place in front of you. If you do bring a backpack, wear it like this! Don't put your bag down.. ever!!! "Second.. Just bring a photo copy of your passport and leave the original in the hotel. I brought it with me just in case I needed to show it for tax rebate or for security purposes. But if you're going to a crowded place like Oxford St. No no! Always xerox your whole passport for the VISAs too (record) and bring a photo copy of your PSA birthcert (travel). "Third.. I'm going to get an international credit card now so I can get it replaced abroad if ever I lose it. Keep a record of your card numbers, leave them with someone you trust at home, for easy blocking! "Fourth.. Don't bring too much cash!! Hide it in different places in your luggage or clothes. Didn't listen to mom on this and I guess I matured a lot from this trip. "Fifth.. The robbers tried to phish information from me by messaging me a link. The email looked legit, but don't fall for it! These guys are reaaaaally good. "Sixth.. Ask for 2 sets of keys from your airbnb host. Ours worked office hours so they couldn't be contacted past 5pm (That's our airbnb behind me) For our second airbnb, we didn't even meet the host at all. So if you could also get a direct line, better!